How good is this! I bought a roast chicken the other week because Sylvia put it on the shopping list and sure we've had chicken breast for sandwiches and salads all week but the leftover bones and bits ended up being a stock this morning. And then I thought to myself "what should I do with this stock?" 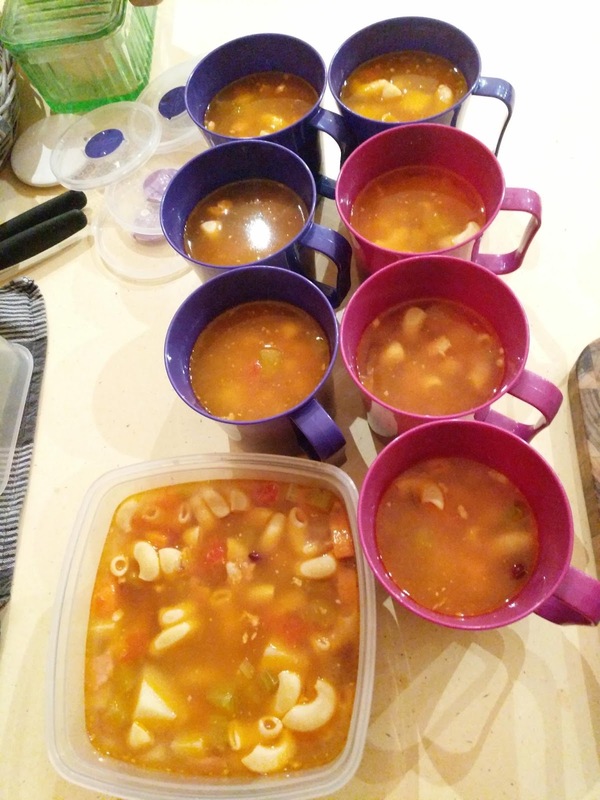 After finding a recipe for minestrone I spent a little while putting this together and I have fantastic ready to go lunch meals for a week or so.